Your Location > Home > News & Market >International News > Lanjigarh alumina production up 22% QoQ and 12% YoY in fourth quarter FY 2018. Lanjigarh alumina production up 22% QoQ and 12% YoY in fourth quarter FY 2018. Vedanta Resources releases production results for the Fourth Quarter and Full Year ended 31 March 2018. The company reports record production performance in the Lanjigarh refinery that was lagging behind due to issues related to raw material sourcing. Alumina production for the fourth quarter 2018 was 351,000 tonnes, higher 22% quarter on quarter and 12% Year on year. This was primarily because the company has been able to clear the bottlenecks surrounding the refinery operations during third quarter 2018 and made availability of bauxite consistent. Alumina production for the full year 2017-18 stood at 1.2 million tonnes, almost flat from the volume produced in 2017. 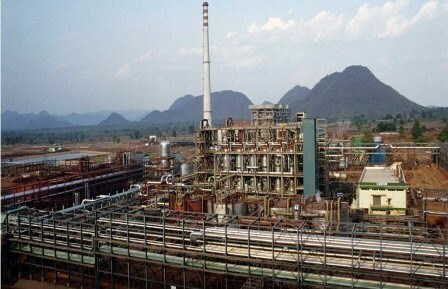 Recently, Vedanta announced that Odisha Government has approved expansion of its Lanjigarh refinery production capacity to six million tonnes. According to an official source, “Chief Minister Naveen Patnaik has given his nod to the expansion of the plant. The Vedanta has been asked to submit the plan for value addition in the state for expanded capacity." The company will source the required bauxite from the bauxite mine run by Odisha Mining Corporation on the Kodingamali plateau. This is expected to boost alumina production in Lanjigarh in the coming financial year.